There are many contractors that know how to build a home… but is that the best measurement of a great builder? Is that enough to make a happy client? We receive industry wide referrals not just from happy clients, but from appraisers, inspectors, bankers, realtors and other professionals in the industry for our quality workmanship, reputable building practices and honorable character. 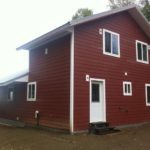 After spending several years and countless hours looking for a larger home with some acreage for a reasonable price my wife and I decided we would be better off keeping our home and adding on. We then had the challenge of finding an ethical contractor. We checked with the reviews of several contractors and even contacted several Real Estate Brokers. 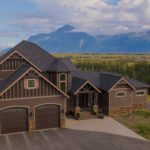 There are a lot of horror stories of contractors in Alaska and we did not want to be another customer with an unsatisfactory impression through the building process and end up spending money to have regrets. So we wanted to make sure that the contractor we hired was honest, ethical and had the knowledge and experience to complete this large addition. Everyone kept telling us to check out Wirtanen Homes. Fortunately, one of my friends had contracted with Wirtanen so we went and looked at his project. We were surprised and impressed with the workmanship and quality work that Wirtanen had done at his home. Shortly thereafter we met with Steven at Wirtanen Homes. He explained in detail their policies and procedures. Steve introduced me to Joe and then they went to work creating the addition we wanted down to the smallest detail. When we were confident that the addition was exactly what we wanted Joe started the project almost immediately we realized we had made the right decision. Wirtanen crews were exemplary. Our questions and any concerns were always answered timely. In a short few weeks we had the addition we had envisioned and it was grander than we had hope for. Joe and his crews delivered on every commitment and promise they had made to us. We would not hesitate to use Wirtanen Homes in the future and have and will continue to recommend them to all of our friends and family. Being first time home builders, we were apprehensive about building a custom home, especially from 3000 miles away. 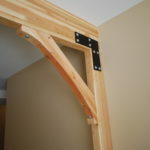 After meeting with Steven, seeing how the BuilderTrend software would keep us in the loop, and phone discussions with Joe to iron out the design, we were confident we had made a good choice. Wirtanen’s allotments were appropriate for the level of quality we desired in our new home, allowing us to get what we wanted without significant change orders and cost overruns. 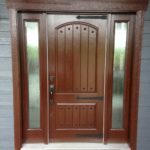 Their signature woodworking on doors and trim resulted in a beautiful custom interior without having to upgrade from “contractor grade”. Joe was a pleasure to work with and also worked well with the subcontractors. He provided valuable advice as we refined the house design, oriented the house and utilities on our site, and selected trim details and appliances. Not everything went perfectly, but Wirtanen obviously takes great pride in their products and worked to make things right. We are very happy with our new home and would recommend Wirtanen to anyone thinking of building. You spun up a winter build with very little lead time after authoring a final design that two licensed architects couldn’t get right. You are the only one who could match our design to our budget and made several critical design additions and suggestions which we are extremely pleased with. You dug a well and septic completely on budget which was a nervous time for us. You surveyed the layout of the house perfectly, as evidenced by the beautiful light and mountain views throughout the house. You helped us bring the house to a 5 star plus energy rating with very little added expense to us. The appraisal, another very nervous aspect for us, came in ABOVE the project budget, which was pure magic. When the framing crew had scheduling problems, you worked tirelessly to keep the project on schedule and diplomatically dealt with grumpy clients and framers alike and made sure to compensate us with any inconvenience by moving a window at no cost to us and other efforts. Your communication was fluid, frequent, respectful and lighthearted regardless of how busy things got. You were an excellent listener when it came to laying out the hundreds of lighting, plumbing and mechanical details and never once expressed frustration when we changed our minds. 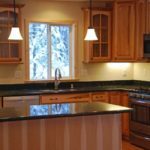 When it came to finish work, we were ecstatic with Wirtanen’s custom doors and trim, the counters/vanities, the kitchen layout, the closets, tiling and lighting. You happily responded to what must have been 250 texts from Jamie and I dealing with the minutiae and details of the finish work, you drove all the way from Sutton to investigate a problem on a day you weren’t feeling well and planned to work from home and it probably wasn’t easy to ask the subs and trades to return again and again to make the extremely fine-tuned adjustments Jamie and I repeatedly asked for. Last night Jamie and I went over to the house and spent some time just sitting in each room and in those moments, we realized that after a three year journey we had finally arrived home. To have a small corner of the world to call your own is one of the greatest things, and that’s what you made for us. Your grade on this work, without reservation, is A+. For our part, we would like to pay back your effort by supporting Wirtanen in any way we can. You can ask us for a written recommendation any time. You can use quotes from this message or others on your website or publications. You can take photos of the house and you are welcome to bring clients over to walk through. 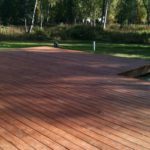 We will write five star reviews on any website you like, and we will forever recommend to our friends and colleagues Wirtanen as the ONLY contractor to use. Sometimes I get a sense that folks think Wirtanen is too high quality/custom/expensive for their budgets but I am convinced that in the end clients save thousands by having everything built right the first time, notwithstanding the immense psychological relief of not having to manage subs and trades. We love our custom Wirtanen home. We had purchased our lot 25 years ago, and had a lifetime of dreams in folders and in our head as to what we wanted. Taking these many ideas, photos, thoughts to exactly what we wanted was not the easiest task! From conception to completion, Steven and his top notch crew were exceptional to work with. All aspects of the process were seamless. 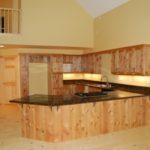 We had heard that building a custom home would be difficult & challenging, but Wirtanen brought a level of professionalism and understanding that made the process a pleasure. As in all complex projects, there were a few things that needed to be tweaked after the keys were turned over and this is where Wirtanen shined. They listened to our concerns and made everything right. 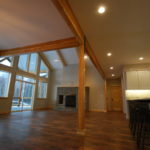 We would not hesitate to recommend Wirtanen to anyone interested in a custom home. 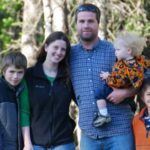 Wirtanen earned our respect and admiration and we are so glad we chose them to build our dream home. We highly recommend Wirtanen. My wife and I searched the market for a house that would accommodate my wife and kids along with an additional space for friends and family, to no avail. 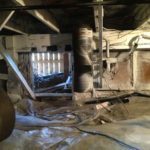 In our search, we walked through a ten year old Wirtanen home that seemed brand new…no creaks in the floors or stairs, and even temperatures throughout the home. The craftsmanship of this home led us to contact Wirtanen. From helping choose the land (walking properties and assessing the ground), through the complete design of the home, Wirtanen’s insight and know-how helped forge the house of our dreams. They kept us involved with every step of the build, and overcame every obstacle. If something didn’t look right to us or to them, they made it right. They also finished when they said they would. Furthermore, their up-to-date online scheduling let us know what and when our selections were due and relieved most of the stress you hear about amongst couples building a home. We’ve lived here a year now. The home is amazing. Our last place was almost half the size and cost more in heating and electric. 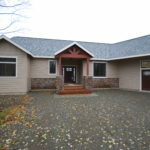 Plus, we have a solid home that has zero cold spots in the winter and stayed amazingly cool during a very warm summer. My respect and appreciation for the Wirtanen clan knows no bounds. If you are in the market for a custom home, give Wirtanen a call. 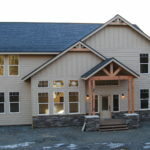 Having our home built by the Wirtanen Custom Homes was an amazing process. From the very start to the final finishing touches, the building process was a pleasant, engaging, and enjoyable experience. Steven and Arliss were great at developing a vision for the project and executing on the details. Not only are the Wirtanens enjoyable to work with as people, they use user friendly computer software to help their clients visualize the finished product and provide constant status updates throughout the project. The “custom” detail of our house speaks volumes for the craftsmanship that Wirtanen Custom Homes creates. We would recommend anybody who’s considering building a custom home to work with Wirtanen Custom Homes. 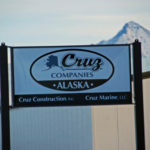 A quality, locally based Alaskan company, they deliver what they promise and do fantastic work. We are so happy that we went with Wirtanen Custom Homes. Going into building we had a floor concept that we already had in mind. Knowing that, we knew we didn’t want to go with a contractor that did not specialize in custom homes. Before deciding to go with Wirtanen Custom Homes we also spoke with a couple of other independent contractors. Although we were impressed with their quality of building we did not want to worry about the hassle of taking out a building loan ourselves. 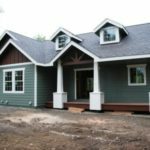 With Wirtanen Custom Homes being able to carry the construction loan, it was one less step of the building process that we didn’t have to worry about. 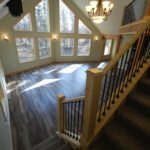 Also, we felt that Wirtanen Custom Homes was the only contractor that we met with that really stayed true to our original design without trying to push floor plans that they had built in the past. We are greatly satisfied with the quality, attention to detail, and professionalism with Wirtanen Custom Homes. Their “standards” package already had built into it many features that other builders would consider as extras that we wanted incorporated into the house. Being a family with younger children, durability was a big priority to us. The quality of craftsmanship and product has certainly met our expectations. My wife and I were both retiring from the military and were stationed in Germany for our last assignment. We had purchased a plot of land a few years ago and had dreamt of building our dream home on it one day. 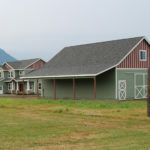 As we neared retirement, it was time to start looking for custom home builders in the Palmer area. A quick Google search brought me to Wirtanen’s website and we found ourselves spending hours on it looking at the different houses, options and client testimonials. I emailed the Wirtanens through the website and received a quick reply from Steven (score one for the Wirtanens); if there’s one fast way to lose my business, just ignore my email. 🙂 From the very beginning, Steven went above and beyond to earn our business. He even drove out to our land and took pictures and videos of the driveway we had installed from afar…we hadn’t even seen it yet. Keep in mind, this is BEFORE we signed with the Wirtanens to build our home. We then set up a Skype conference to start going over details and “met” Steven for the first time. My wife and I were both surprised as to how young he looked; do NOT let that fool you. 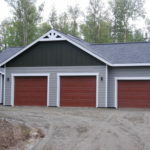 We quickly learned that Steven was very experienced in the trade of custom home building. He was also very professional and after the conference, we knew we had chosen the right builder. Over the next few months, prior to our return to Alaska, we exchanged emails, text messages and phone calls developing plans and going over all the pre-build details that were needed. We wanted to hit the ground running as soon as we landed! 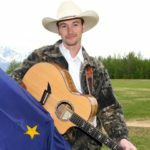 After returning to Alaska, the smooth sailing continued as Arliss Wirtanen now enters the scene as our project manager. Again, super young looking with lots of experience and knowledge. Arliss was absolutely perfect throughout the entire building process and after. He listened to all of our suggestions and incorporated them if possible; if not, he would always make suggestions that were an excellent alternative. I want to share a common theme with everyone that happened during the building process. As most contractors do, the Wirtanens sub-contracted most of the manual labor such as framing of the house, roofing, plumbing, electrical…etc. Each and every sub-contractor that I talked to said that my wife and I made the right choice and that the Wirtanens’ were the best. “They don’t cut corners”, “They hold us to the highest standards” and “They demand perfection” were just some of the quotes from the sub-contractors. They were all right. After the house was done, Steven was not satisfied with the final grade (dirt work) around the house. Let me tell you, this man is a perfectionist. He took his own personal time after work and did all the work himself at NO CHARGE; he wanted to make sure that it was right and my wife and I were satisfied. That’s what I call good business… As I type up this testimonial , we have now lived in our dream home for 10 months and we couldn’t be happier; the Wirtanans are now part of our family. They continue to provide outstanding customer service just like they did throughout the entire process. I would highly recommend Wirtanen Inc. to build ANYTHING. Our experience with Wirtanen Inc. was great. From start to finish, Steven, Arliss and Joe made the process of building a custom home easy to navigate. They were always available to respond to questions and offer assistance when needed. 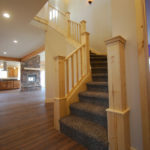 The entire team worked hard and went above and beyond to ensure we were happy with our custom Alaskan dream home. It is clear Wirtanen takes pride in their work and delivers a quality product. An important factor in designing a custom home is accuracy in establishing a budget. Wirtanen provided precise estimates which of course made us happy and able to plan for the rest of the home. We have already recommended them to friends and family, 3 of who are currently in active contracts building their custom dream homes with Wirtanen, Inc. and we will continue to recommend them to others. Five stars! Your service is the best that I could ever ask for. Joe is calm and cool all the time and I did beat him up a few times and it just made him work harder to please the customer . I talked to several people over the couple of years prior to selecting a builder and I have never heard owners complain or fight with Wirtanen like all the other builders. Your homes do cost a bit more than others, but what’s behind the walls is more important to me than the looks of the house and this is what you build. A long lasting efficient home. Most builders sell the looks of the home (as most buyers are buying the looks of the home) and never realize what’s in the walls. I appreciate a builder that is selling more than floor covering and paint. 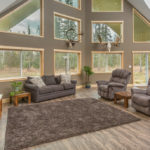 When you look at my home compared to others, that’s when it shines with the triple pane windows, spray foam, thermal break wall system and deepened crawl space. Overall I am very happy with the home and still have a hard time believing I live in such a beautiful home with an amazing view. I know this house will be solid and efficient for my lifetime, and for the next owner after I’m gone. I would like to thank all of you at Wirtanen, especially Joe, Steven and Arliss for staying calm and working with me during the construction period. Thank you. After talking to several builders and having three sets of plans drawn up we finally discovered Wirtanen Homes. 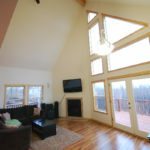 Steven designed and built us a wonderful home that is also energy efficient and a joy to live in. 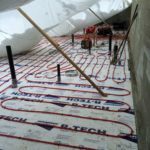 In floor heat, triple pane windows and spray foam insulation were the focus from the start but adding in a geothermal heating system just rounded out the package. In the last year three of my coworkers have had houses built and they all complained about their builders not following through in one form or another and I have told anyone who would listen that if I were building again I would build with Steven Wirtanen, because Steven does what he says he will do, when he says he will do it. Even when it is not convenient for him. This is the first home we’ve ever built. We began negotiations with another builder initially, but after the first couple of meetings started feeling pushed to build something was not what we really wanted. Shortly thereafter we started looking around for a different contractor and decided to contact Wirtanen. At first glance the Wirtanen guys look like a couple of kids right out of high school, but we left that initial meeting impressed with Steven’s direct, informative and honest approach to the building process. It didn’t take long for us to come to a decision that Wirtanen was the right choice. Arliss was very responsive to our needs and wishes during the design phase and helped fine tune a layout that works exceptionally well for our large family. Throughout construction Joe was there to help guide us along the way, answering every newbie question we threw at him and keeping it all running smooth. We heard horror stories of other people’s house building experiences who told us that it was stressful enough to bring even the hardiest of marriages to the brink of divorce. All I can say is, they obviously chose the wrong contractor because Wirtanen made this a tremendously enjoyable experience for us. Anything I wasn’t completely happy with was made right. Even after moving in they continue to answer questions and offer exceptional customer service. We are thrilled with our new home. I highly recommend Wirtanen to anyone embarking on a home building journey. You will not be disappointed! I am asked to give a quick and simple testimonial for Wirtanen Inc. Sorry can’t be quick and simple..
Am I happy and satisfied with their work? Yes, absolutely. Would I recommend them to my friends? Definitely, in a heart beat, without reservation. Did they integrate well with the subs? Usually could not tell the difference. Do I have any advice? Yes, Ask questions and LISTEN to the answers. Ask for advice and listen to the responses. Ask for an opinion and listen to the response. If you notice something you don’t understand, ask about it. I would not change my opinion or choice about Wirtanen at all, even in the smallest degree. They stuck with me. Wirtanen Inc. turned the overwhelming home building experience into a real pleasure for us. So many decisions go into a custom home.. Wirtanen laid these out in steps that kept stress levels to a minimum. Thanks to their patience and communication, as well as their technological approach to home building, our vision for the final product was delivered upon completely. On time, and at a price we feel was very reasonable. We can’t recommend them more highly as they are easy to work with, honest, and their craftsmanship is exceptional. It was a great experience that gave us exactly what we wanted, and we wouldn’t hesitate to do it again. I wanted to let you know that you did a superb work in remodeling the kitchen. The kitchen is truly the favorite room in the house and we still just like to go into the kitchen to admire the work. We really enjoyed the experience of the remodel and you and your crews were always so courteous and helpful. 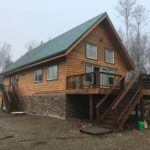 I am so delighted that we chose Wirtanen to do this remodel for many reasons, not the least is how accurately you predicted the cost and the wonderful program you have to track changes and expenses. We appreciate how you kept us as part of the remodel at every phase. We could not have be happier with the experience and are ready to start our next project with you. Merry Christmas and all the best. Thank you to Wirtanen Inc! We can’t say enough to thank you for the building of our beautiful custom home. We looked at several home builders in the area, but we decided to go with Wirtanen Homes. We told you what we wanted in a home, and you listened and went out of your way to provide what we asked for. Our home was designed with all of the custom details we wanted. Not only did you provide us with a quality custom home, but we have become personal friends with your family and hard working staff. We love our home and get comments all the time on the quality and custom details. We don’t know why anyone would want to have a home built by someone else. We wish much success to Wirtanen Inc. in the future. After reviewing bids by several competitors, we chose Wirtanen Inc. for our General Contractor. While we primarily chose this company for its quality reputation, we were pleasantly surprised at a very reasonable price. We started out sitting in Steven’s office as he adapted our architectural plans for the Alaska climate. 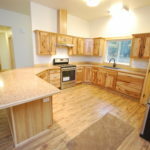 He and his crew built us an excellent, quality home that was completely custom and exceptionally energy efficient. There is no substitute for getting exactly what you want, and this is what Wirtanen provided. With any large building project, there are going to be complications that arise. Steven and his crew were there at every step with honesty and integrity, fixing each problem. We ended up very happy with our house, really now a home that reflects our original dream. Whenever people ask us for the name of a quality contractor that can be trusted with a major project, we give the name of Wirtanen Homes without hesitation. We highly recommend Wirtanen for your construction needs. Working with Wirtanen and their staff was a pleasure. 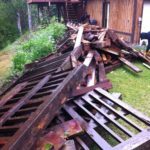 Our experience with Steven, Arliss and Joe to add additional space to our home was different then what I expected. The Wirtanen Team took our 3 bedroom/2 bath home and turned it into 5 bedroom/4baths with a new family room with our family living in the house during construction. Most would assume dust and chaos throughout the process, but the staff at Wirtanen kept everything on schedule and the dust and chaos to a minimum. Any concerns or questions we had were addressed quickly. Wirtanen takes pride in their work, which was seen throughout our process. Their professionalism and attention to detail was evident and making the construction process as pain free as possible while living in the construction would make us go to them with any additional construction projects large or small. 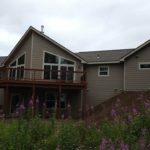 This was our first time of having a Custom Built Home and Wirtanen Inc. made it a wonderful experience. From the first meeting with Steven to final turnover with Joe, the entire experience was fantastic. All homebuilders will have glitches, customer changes, and things that do not go as planned, but the difference with Wirtanen is how they are handled. Everyone we came into contact with made us feel like we were the highest priority and changes were handled in a competent and professional manner. After talking to other people in our new subdivision who used other builders and the problems they encountered, we knew what a smart choice we made having Wirtanen build our beautiful and energy efficient five star plus home. They are wonderful even after the sale is final and do not disappear when the ink is dry. They have been out to correct small issues after the sale including one that was my fault! If you are looking for a builder, Wirtanen should be your first and last stop. First I want to say that Lisa and I are pleased with the house you guys built for us. It turned out just the way we were imagining. After four months of living in it we have not found anything major that we would have done differently. As you know, we encountered some major unexpected events during the construction of this house which not only had an impact on us financially but also heightened the anxiety we had about building a house for the first time. Even though most of these events were out of both our control, I appreciated the fact that you were willing to work with us to keep things moving along. This project could have ended up terribly but thankfully we were able to work through the difficult situations. I believe that you have a customer service mindset. From my experience you are not out to nickel and dime the customer which is a rarity in today’s contracting environment. Your management team is friendly and very responsive which is great for a first time home builder like us. Lisa and I are not planning on moving from our house anytime soon but if we ever decide to build again, we will give you a call. Wirtanen built us a great house. Where they really, truly excel though, is how well they manage the relationship with their clients. Even the smoothest construction project will hit some speed bumps. When it does, that’s when you’ll know if you hired the right contractor. I highly recommend Wirtanen. would definitely build with them again! Having a home built by Wirtanen is like working with Family. We were part of the build every step of the way and never treated like just “another” customer. We could not have be happier with the experience and would definitely build with them again! Not only did they build us a dream home, we made friends along the way. We couldn’t be happier with our Wirtanen home. When building with Wirtanen you know you are receiving a beautiful Custom Home that you will be proud of. 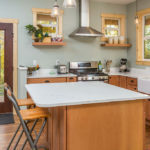 This being our third home building experience, and we understand the importance of the connection and communication you need with your builder. Wirtanen has just that. 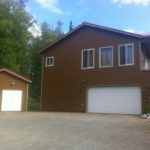 Wirtanen recently built a large 24′ x 50′ RV garage/shop for us on our property in the Wasilla area, and we could not be more pleased. The entire construction process, from initial planning to final completion, was outstanding. When we initially contemplated building the garage we contacted several companies, but it was Wirtanen who promptly and courteously responded to our inquires. When we first met with a representative from the company we were given a broad outline of what the project would entail, and what the probable costs might be. Once we decided to go ahead with the project, everything swung into high gear. Every aspect of the project was discussed with us, including such things as the orientation of the building on the site, the insulation and lighting, the type of foundation, and the exterior cladding. We were provided with a computerized rendering of what the completed building would look like, as well as a detailed cost estimate. Once construction started everything proceeded smoothly and efficiently. Any questions or concerns that we had were addressed promptly and to our complete satisfaction. 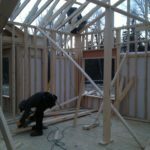 The sub-contractors used by Wirtanen, from site preparation, to framing, to heating and electrical, to drywall and painting, produced work of the highest quality. Although we did make some changes, as well as some additions to the build during the construction process, each change and addition was thoroughly discussed with us, and we were provided with a detailed cost of each change and addition. The end result was that there were no surprises. The project came in on time and on budget, and we could not be happier with the quality of the work. We would highly recommended Wirtanen to anyone considering a construction project in the future. We truly believe that that they are an excellent company that does outstanding work. These guys are great to work with and I continually recommend them to any of our friends that are looking for a QUALITY builder. Their honesty and integrity made the whole experience wonderful!! Thanks guys! My husband and I looked at homes for almost 2 years. We never found exactly what we wanted, so we decided to build. We decided on Wirtanen Inc based on a house we viewed during the fall Parade of Homes. My husband is very picky and we wanted a very specific set of plans. 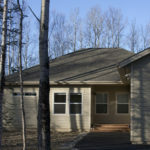 Steven worked with us to design the house exactly the way we wanted and was able to keep it small enough for our needs. During construction, Joe and Arliss were available to answer any questions or concerns we had, and changes we didn’t think of during the design were added with ease. Steven, Joe and Arliss received many texts and emails from both of us during the build and always answered promptly and courteously. We receive compliments from everyone the first time they see it, especially on my beautiful kitchen and custom cabinets. The Wirtanen family is what makes Wirtanen Homes such a great local company. It’s been a true pleasure dealing with such nice and honest people. A handshake still means something and their integrity in backing their products and design is second to none. 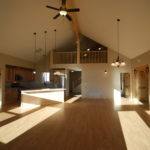 Their knowledge and experience allows designing your own custom home or project a piece of cake. You get what you want, it’s done right, all with the piece of mind of knowing that it’s done within the budget you set. What more could you ask for? When we had an emergency for repairs at our home we called Wirtanen. I was impressed with their response time and the quality of work they have done for us. In our opinion you couldn’t find a more honest company to work with. They have I integrity and set high standards for their workmanship. We decided to have Wirtanen build our home after hearing lots of praise from around the community. The crew at Wirtanen definitely lived up to their reputation of quality craftsmanship and excellent customer service. They were extremely flexible, easy to work with, and for first time home buyers, they were there to walk us through the process every step of the way. Most importantly however, we were impressed with the down to earth, honest service that we received from Steven and his crew. I have issued final payment to your invoice today. What an excellent job you did pulling this ill-started repairs together for Donna and Safeco to get it finalized. Great work. A contractor for us both to keep on front burner for any future work needed! I wanted to let you know that the crews did an amazing job in our downstairs! It so beautiful and work is very well done. I am so happy that we went with Wirtanen to do this restoral so that everything was done so well and the baseboard was placed so well! The media room shelves that were built are gorgeous! So much better than we or anyone else would have done. Joe and Galen (?) did such wonderful work! Kudo’s to Wirtanen!!! Thank you sooooo much! A second generation Wirtanen project… Up the generational line! Six years previous, our son had Wirtanen build his house. 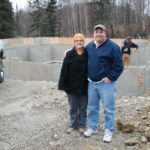 This past year, when we retired to Alaska, we knew without hesitation that Wirtanen would build our house, too. Steven set the highest professional standards for building and saw us through the process from day one to turnkey. Grant took our desires and turned them into a floor plan, guided us through the near-daunting task of positioning the house on the land (everything looked so different with the trees felled), and oversaw the rough build. Arliss brought details to life and kept a steady hand and mind as our project moved into the flurry-of-finishing stage. We particularly appreciated that throughout construction, no question we asked was considered trivial and our active participation was openly encouraged. Our heartfelt thanks to everyone at Wirtanen Inc. for building our beautiful house, which in the English tradition, we have named: CreekTree. 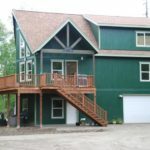 To anyone who wants a highest quality, energy efficient, custom designed and built house that encompasses all your wants and needs, then we can attest that Wirtanen, Inc. is the only builder for You! Our experience with Wirtanen Inc. was great. We have moved around a lot and picked up a lot of unique furniture which requires some specific space requirements. Steven was awesome in helping us pick a house within our budget that would fit our requirements and meet 5* plus energy efficiency. The design process was quick, professional as was the entire staff throughout the build. We would, and have, recommended Wirtanen to our friends and anyone else who wants a quality home building experience. 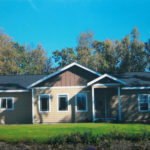 We are so happy and blessed to own a custom, Wirtanen five-star energy rated craftsman home! Wirtanen builds quality custom homes professionally at a reasonable price, with honesty and integrity, making the whole experience the best that you could imagine. 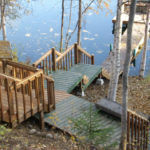 When we decided to build our dream home on our family homestead lake property, we had no idea who to choose for a builder. We started with a list of recommended builders, with the intention of contacting and interviewing five or more builders then narrowing it down. Since Wirtanen Custom Homes came most highly recommended, we called them first and spoke with Steven Wirtanen, then met with him in person. We were very impressed with his knowledge, experience and work ethic. We asked for a couple of recommendations and he gave us the names and numbers of five people that they had built homes for. I called all five and every single one of them was happy with every aspect of their experience of working with Wirtanen in the building of their homes. 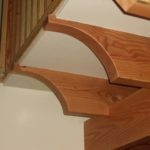 We toured four of these houses and saw the quality and unique craftsman touches and knew that we need not look any further. We had some ideas for our home design and we worked together with Grant and Steven until we had the perfect design for our dream home. Through every phase, the Wirtanen crew worked professionally, with great attention to detail and pride in workmanship with every aspect of the process. Communication was always excellent and friendly. Any questions or concerns were answered and information provided promptly, via text, e-mail and/or phone. They worked efficiently and kept to an accurate timeline, notifying us when we would need to order different aspects of the home. We were allowed to choose every detail of our home, and were kept aware of cost differences along the way. The crew always left a clean work site. Our home was completed on budget and on the exact day that we were told it would be done. Our home is truly our dream come true and we want to thank the entire wonderful Wirtanen crew for making it all possible! everything was just how we wanted it! 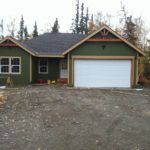 Wirtanen Inc. built not one, but two homes, for us in Alaska! Both were excellent and very well-loved. 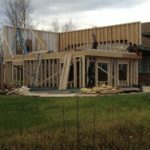 We’ve since moved to the Lower 48 and are now in the process of building our 3rd house, and I sure wish Wirtanen Inc. could be here to General the project for us!! You guys are fabulous, patient, and efficient. I immensely appreciated the time and effort you put into our houses to make sure everything was just how we wanted it! If I could put this into one sentence, I’d have to say, ‘Hire Wirtanen Inc. to build your dream home and you’ll be Satisfied’! As a REALTOR®, I have a little bit different perspective when it comes to home building. I have worked with many builders here in the Valley and when we decided we would build ourselves, we wanted the best! Working with The Wirtanen Crew was a fantastic experience. They were always so happy to have us at the job site, happy to listen to our concerns, happy to work with our changes and it made a big difference in our experience. They have fantastic follow through and they are always willing to go the extra mile. Our home is beautiful. Our home is extremely energy efficient. We would do it all over again. Thanks Steven, Grant and Arliss. You guys really are the best! 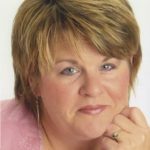 **Comments from Wirtanen Inc: If you ever need a good agent, call Dody Kettler (907-232-7331) I can guarantee she will treat you right. Steven, we would like to take this opportunity to thank you and your crew for our wonderful new home. 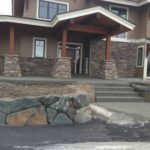 When we first started looking for a builder, we searched long and hard asking friends, contractors and other homeowners about their experiences with local builders’ quality and service; to our surprise we where unable to find anyone who had anything negative to say about Wirtanen Custom Homes. From our first contact to final completion we have been very happy throughout the process. You and your employees exhibit professionalism and quality of work that exceeded all of our expectations. Once again thank you for not only building our house but for building us a home! 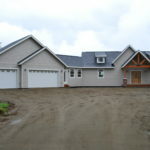 Perhaps I’m biased to write a referral for Wirtanen Custom Homes, as I am a current employee. Either way I would like to express my gratitude towards both Steven and Grant for their time and guidance in building my first home. If there is one thing that I should mention, it is that Steven has a keen and observant eye in this market with an uncanny ability to bring Custom Homes in under budget and still have a happy client base. 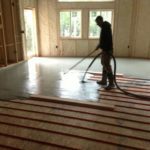 With so many builders today cutting product and construction quality, Wirtanen Inc. has found a niche in the market that allows for affordable quality, which is a huge advantage over other builders. In closing, I would like to say that I feel Wirtanen Inc has the potential to satisfy any customer no matter the circumstances. Also, as part of the team at Wirtanen Inc., I would like to also express my own desire to take part in building your new home. 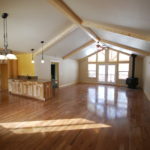 We take pride in providing an energy efficient custom home that fits your needs. I would like to mention that your crew did an excellent job lowering the door. My brother has been a sheetrocker for about 30 years and he commented on what a good job they did related to the interior walls around the door. There is no repair work that needs to be done. They did a very clean job that will easily be covered with the door trim. I would like to add that we are very pleased with the work you have been doing! It is a very professional job, it is progressing well, and we are so happy to see progress each week. Thanks again for the fine work your crew is providing! 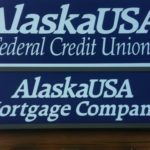 To Whom it May Concern: As a mortgage lender in Alaska, I have had the pleasure of working with Wirtanen Inc. on behalf of borrowers who contracted with Mr. Steven Wirtanen and his company for the construction of their homes. Having been a lender for almost 25 years, I have had the opportunity to work with the majority of the builders in the area. Some builders were competent, honest and delivered a quality product and some did not. Wirtanen Inc. is among the most ethical and competent companies with which I have ever worked. Over the past two years I have done numerous transactions with Wirtanen Inc. and without exception, every one was positive. Mr. Wirtanen’s clients are not only satisfied with the finished product (his homes are functional, beautiful, full of craftsmanship not often seen and extremely energy efficient using green technologies most builders skip), but also with the process during the term of construction. Those facts alone set Wirtanen apart from the majority of builders. If you have any questions about Steven Wirtanen or Wirtanen Inc., please do not hesitate to contact me at (907) 352-8302. You guys have been so patient and helpful with someone new to this process, and have spent a lot of time with me. I cannot remember who it was who initially referred me to you, but all I was looking for was a good, solid carpenter. I had no idea that folks considered you one of the best builders! You guys are very diligent, polite and superb communicators who reply to e-mails/phone calls, if not the same day, the very next day. Another admirable thing is that you strive to keep a clean work-site. It shows respect for another persons property. We are very happy that we contracted with Wirtanen to build our home. Because of our experience, we continue to recommend Wirtanen to others. From initial contact through final inspection, Wirtanen was professional and approachable. 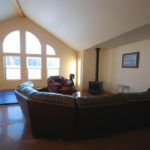 We looked at several options including remodeling and new construction and truly appreciate the ease of communication, honesty, and patience from both Steven and Grant throughout the entire process. In addition, we were impressed with the friendliness, cleanliness, and trustworthiness of the Wirtanen crew and subcontractors. All of the people involved with Wirtanen made for the overall quality of the home and the excellent experience of building. We admire Wirtanen for their standard of quality work and quality relationships in the industry. Wirtanen builds to custom fit your needs! 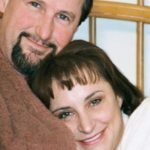 After accepting a job in the MatSu in 2007, we could not wait to search for a home and move out of Anchorage. To our surprise, we were not excited with the homes that were for sale on the market. 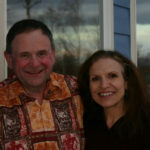 In 2008, we decided to rent and shortly after that purchase our beautiful 5 acres near Hatcher Pass. We had been renting for 2 years with no progress on our land except for one bad experience with another potential builder. 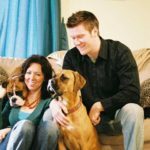 In the fall of 2009, we had our beautiful son, Zak and soon discovered that our small rental (500 sq ft with ladder to loft) was not ideal for our family consisting of Jeff, myself, Zak and two big dogs. Jeff was driving around the Matsu and saw Wirtanen signs near houses that were recently built. We were unsure if a ‘Custom Home’ builder would be willing to work with us because of our small, less than 2000 sq ft house plan. We were under the impression that a ‘Custom Home’ Builder built mansions with multiple garages, etc. After speaking with Steven on the phone and meeting him in person we were extremely impressed. We were excited that they could build our house within our budget, with the quality that we desired. And Wirtanen was an experienced, local, family run business that employed their staff year round. In January we signed our contract, and we were in our house in June of 2010! Thanks Wirtanen Clan! About a year ago my wife and I decided to start home shopping. 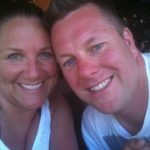 We realized quickly that finding a home in our price range that fit our needs was going to take time and patience. Our search turned up a very short list of homes, most of which were inadequate due to size, age, or price. As a result, we decided to research local home builders. We were slightly nervous about this because of our inexperience and limited budget. Long story short: After a couple meetings with Steven and a trip to the bank, we were on our way to a new home. We have been in our new place for three months now. A day has yet to pass that we are not consciously thankful for the comfortable, efficient, unique and beautiful home that Steven, Grant and the crew built for us. As I reflect, the comfort started the moment we walked into Steven’s design office, and continued through the land search, building and closing process. Because of Wirtanen’s obvious desire to meet our needs, we actually felt like friends were building our home. The value in their product is rooted in Wirtanen’s true commitment and pride in making the building process as stress free, affordable and simple as possible for the client. I urge anyone entering the housing market to call Steven and talk about it. He is a man of his word. You will immediately feel at home! Thank you so much Steven, Grant, and crew! Wirtanen scored the highest rating of our 2010 subcontractors. At the conclusion of our projects I have my project staff include a subcontract performance review and Wirtanen’s performance exemplified above average marks on all categories. We use the subcontractor performance summaries to aid in the choosing of future subcontractors on projects we bid, thus it is critical for the team to itemize strengths and weaknesses that may prove valuable in evaluating future subcontractors. Wirtanen’s team on our Fort Yukon Airport Project did an impressive job of meeting the contract demands. We were thoroughly impressed with the planning and execution of Steven and Grant. They completed their portion of the work nearly 4 weeks ahead of schedule and we received comments from the owner that they had never seen a building contractor perform so well on a SREB before. 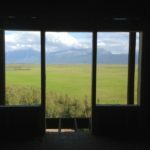 Critical to all remote Alaskan work is a sound understanding of the phases and tasks and hand to complete a project. Furthermore, a contractor must be able to plan, communicate, and execute in order to build a prosperous and viable business in this market. Wirtanen possesses all of these quintessential skills, and they top it all off with excellent owner and prime contractor relations. Cruz Construction considers Wirtanen a valuable member of their construction team, and we look forward to building many more successful projects with them. I would highly recommend their services as a credible custom residential and commercial contractor. Jeff D. Miller, General Manager at Cruz Construction, Inc.
You folks are the best. The deck is perfect, and you were highly considerate of me and my spouse throughout this job. I remember the work you did on my floor and ceiling last winter, when you had to bring in a scaffold to do the repair work, and left the house cleaner than when you arrived! Thanks again, you Wirtanen folks are A number One! We just wanted to take a minute to say thank you for the beautiful home you have built for our family. We are so happy with our choices and your work. You, Grant and your team have managed to capture the very essence of what we have been dreaming about for years and build it for us. You took our idea and turned it from an idea in our head; to a concept; to a design; and finally what you see on our land. It was truly an amazing thing for us to witness. The homebuilding process was as you promised: exciting, fun and without any hidden surprises. You and Grant placed the utmost importance on our satisfaction throughout the entire building process. We want to acknowledge that while you may have had many projects going on concurrently with ours – you always made us feel like our house was very important and special. Thank you. We especially loved the way we were always encouraged to express our questions, thoughts and make changes right up to the end. 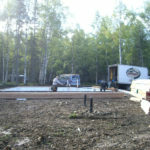 Wirtanen Custom Homes has made this process as easy as possible for us and we could not be happier. We had no shortage of builders to choose from in the valley – but chose Wirtanen because you are interested in building a home, not a structure, not a place to stay, not a house – but a home to raise our family in. If any families are thinking about going with Wirtanen Custom Homes we would be very proud to show them our home – your quality! Thank you all for the hard work you have done for our family. Mike, Darlene and the troops! We are so happy with Wirtanen Inc. and everyone they work with. The Wirtanen family and all the subs are all nice and friendly and know exactly what they are doing. 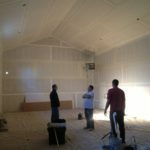 The whole building process has been very easy and pain free. Our house was totally custom designed for us and our lot. Plus they were always there to suggest little details that improved our home even more. In the end, we wound up with a custom home for a great price. If I we were to build again we would definitely use Wirtanen Inc.! They are the best! Wirtanen Inc. is the company to call! 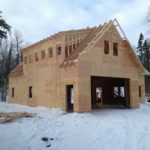 If you plan on having ANY work done on your home, be it building a new home or an addition, or, as was our case, rebuilding after a fire, Wirtanen Inc. is the company to call! Wirtanen Inc is kind, courteous and honest! The Wirtanen team know their crafts well and are perfectionists at each task. They surpassed all that we hoped for – we couldn’t be happier! We found that any questions or concerns were responed to with lightening fast speed! Easy to contact and easy to speak to! Don’t be fooled by their youthful appearances! They really do have the knowledge and ability to do anything that may be required to build your dream home! We highly reccomend the Wirtanen Company!! They ROCK!!!! Dear Steven and Staff: In this day of fast paced business dealings and poor service, it is only on the rare occasion that I feel I must take the time to stop and write a letter to thank someone for a job exceptionally well done. This is one of those moments. From the moment my husband and I first contacted Wirtanen Inc regarding a possible construction project, we felt comfortable and confident the job would be done right. When the project finally began, it was a joy to watch the skill with with the construction crew performed it’s duties and completed the work. When it comes to “customer service”, Wirtanen Inc takes the prize – professional, honest, trustworthy and competitively priced. Once again, Thank You for a job well done! We recently moved up from Texas and knew what kind of home we wanted built. We met with several different builders, some of them were real shady, and some of them just weren’t “getting” what we wanted and were trying to force us into what they wanted. I met with Steven Wirtanen, and at first I was like wow he is way too young to know what he is talking about. Out of all the builders we met with, he listened to what we wanted. He always listened to every idea and concern I had, and was right there giving me imput and advise. We are truly happy in our new home and the experience with Wirtanen was a very enjoyable. No complaints what so ever!!! We truly recommend Wirtanen Inc.
We have been thrilled with the attention to detail, craftsmanship, and flexibility Wirtanen offers during the construction process. We were able to build our dream home and completely customize the house to our needs. We highly recommend Wirtanen Inc. to anyone looking to build a new home. Hi Steven and Grant. I got a chance to drive out yesterday after work to see the final project. It looked Great! The risers were just the right height for comfort in walking down and then up. The visual platform design is very unique and the side trim indention on the railing shows a lovely accent. We made a few changes as the project progressed and I appreciate Grant and the guys for accommodating. The dock turned out great! I know we discussed options many times. We have enjoyed and appreciated doing business with you. I feel that you were very expedient, accommodating and professional. Thanks again – we will definitely recommend your services. Wirtanen Custom Home builders were awesome! They quoted us the best price and followed through to maintain within the allotted budget. Also, the quality of workmanship surpassed our expectations. Wirtanens framed and enclosed the house within the contracted time. Furthermore, they customized the framing to our needs and accommodated our last minute changes to the house plan. We are happy with the final product. 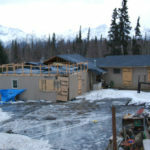 The Quality and Durability in the framing is evident from the house withstanding the rugged and fierce Alaska weather. Also, the Wirtanens were helpful when we called them for advice in future remodel or additions to the current house. Finally, Wirtanens were great to follow up after completing the house. We would not hesitate to rehire Wirtanens for future building needs. a house beyond my dreams! Before Charlie and I began to think about building our home, we were invited to dinner at some close friends of ours. Upon arriving at their new home, I immediately became envious of their beautiful house that had been built by Wirtanen Inc. Every detail of their house was absolutely wonderful. I loved the layout, the colors and most of all, the pine floors. A year later, my oldest son and his wife had a house built by a local construction company. 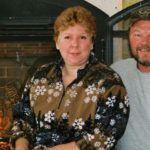 After witnessing many disappointments from their experience, I knew that when it came time for our home to be built, I would be a very picky customer. So we called Wirtanen Inc.. From the day the Wirtanen’s arrived to the day they departed, it was a wonderful experience. 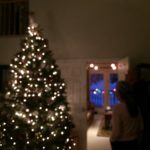 They felt like part of our family, and the finish product was a house beyond my dreams! 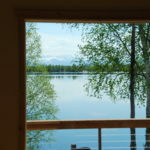 Our experience with Wirtanen Inc. in building our Alaskan dream home was positive, rewarding and stress-free. From the moment we contacted them via email through the final walk-through, their friendly and honest team delivered exactly what they promised. No hidden costs and a well built, custom home that is uniquely ours, that’s the Wirtanen way. We couldn’t be happier. We couldn’t have been happier having Wirtanens build our new home two summers ago. 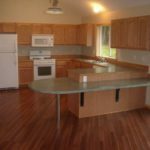 They were able to draw up the plans we had in mind, were always prompt and on time, and we had the flexibility of choosing the colors and furnishings, including custom cabinets, that we wanted. The workmanship was also great. 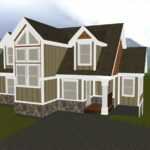 I had anticipated that choosing a custom builder would increase the cost, but, in actuality, it was somewhat less because we paid only for what we got. Since then, we have recommended them to several other people. At first glance, you might have concern by the young man that you are about to place your trust in for your new project. Not to worry. You will learn in a matter of minutes although he is young, he is very sharp, very experienced. Equally important he is also honest, always respectful, and a perfectionist with a can-do attitude. The same can be said for the entire Wirtanen building crew.This family run business is not to be overlooked, they are the real deal. 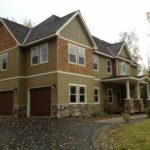 They worked with my wife and I to design and construct a sizeable and complex addition to our existing home, and did an excellent job. I would recommend them for any project, large or small and would not hesitate to work with them again. Communication with the Wirtanen organization, whether on the job site with the project manager, or when calling the office, when you picked up the phone and you wanted to talk to someone, you had a live person who was aware of your project! Communication was awesome…the best! One thing I liked about the way Wirtanen’s ran their business was that they were very cohesive. Everybody knew in what order the other groups should follow and how quickly they should follow. I’ve done a lot of construction in my Subway Stores, and there are times when subcontractors don’t work well together. We set a timeline and they were right on it, even with the changes that we made – they were right on target. I watched them through the whole building process. I was here every day watching them work. 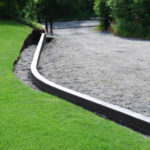 What impressed me the most was the quality of workmanship, the quality of the job they did. 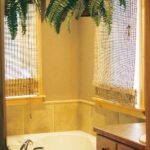 During the time we were looking for a builder, anytime we met with Wirtanen Inc., I just had a really good feeling about them. They were real people. So, ultimately we just followed what was comfortable, what felt right, and decided to go with them to build our home. 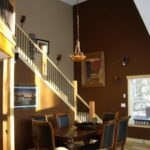 It was exciting to learn that Wirtanen Inc did so much with wood and their wood trim work, because we really wanted to live in that type home. 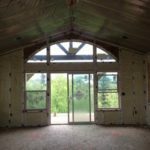 Wirtanen Inc. also used spray-foam insulation which is very energy efficient, and our actual home design was efficient as well in terms of actual use of space. It was awesome. The jobsite was clean. They really shine as craftsmen… Having this home built was like living a dream – watching it come true step, by step, by step. We are so thankful to have found you! Far too often as we got through our very busy days, we neglect to acknowledge those who have made a significant effort to provide a superior service. We have thought many times about expressing our gratitude and just seem to have been “too busy” to stop and get it done. Your survey was just the prompt I needed to make this long overdue acknowledgement. Will and I have lived in our new home for almost a year. We are so thankful to have found you! We had spent countless hours looking at homes and were getting more and more frustrated. Then, we took one last drive through the Farm Loop area of Palmer and came upon your construction site. The home under construction was exactly what we were looking for – the quality of the finish materials and the attention to detail is not easily found in our real estate market – especially at this price range. I have been a mortgage professional for over fifteen years. During this time I have worked with many professional builders and seen many real estate transactions transpire. We have been so impressed with the professionalism and supreme competency of you and your work crews. The finished product is exactly as you presented it would be, and the transaction was a breeze. Will and I are happy to recommend you to others and make our home available for your prospective buyers to visit. We couldn’t be happier with the home you have built for us. We were told ‘you’re going to have buyer’s remorse! You will be lucky if you’re married when you’re done building’ …..NONE! – We had none of that! I hesitate to say it, but the whole process was easy. We had the kind of experience building our house that people say you could never have. We got exactly what we asked for: We gave Wirtanens the specs and they built it. They build it when they said they would, for the amount they said they would. I think I went through more hassle buying my last car then having this house built. It sounds so… lame, but it was easier than buying a car! This was our first home, so everything was new. Wirtanen Inc dealt with us very ethically and honestly – We still talk about what a good experience we had. I don’t think you could ever eliminate all frustration, but Wirtanen Inc has very good customer service! We feel the price we paid was very fair, especially considering all the changes we made at cost plus instant equity. We couldn’t be more pleased with the final product. We would highly recommend Wirtanen Inc to anyone building a home or remodel and would gladly share our positive experience. Our home is beautiful! We have never dealt with business people we found as trustworthy as the Wirtanen’s. 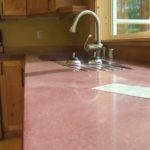 We were picking out countertops and flooring from out of state, and the Wirtanen’s were VERY patient and helpfull with the process that was far from easy! We thought we got a good deal on our home when we bought it, but now that we have lived here a while, we realize that we got a GREAT deal! We would be happy to provided a glowing recommendation at any time!